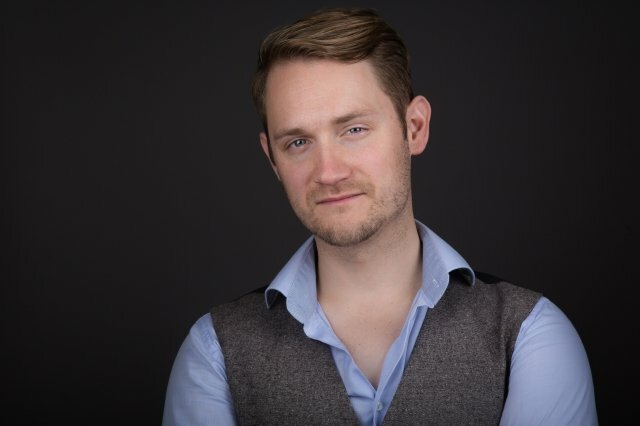 I am an opera singer and experienced singing tutor based in South London, having recently relocated from Glasgow where I have been training at the Conservatoire over the last four years. I hold two postgraduate degrees in singing and maintain a busy teaching diary alongside my ongoing performance commitments. I'm comfortable working with singers of any age and level, with a central focus on healthy vocal technique to support numerous musical styles as well as acting or public speaking. My primary availability is currently weekdays, either daytime or evening, around my existing teaching timetable. I'm always happy to hear from potential new pupils and will try my best to fit you in to my schedule. I offer lessons from my own home in Belsize Park at the rates listed here. I am happy to travel to pupils' homes for a small additional charge, to cover travel time and expense. Please don't hesitate to enquire, whatever your location; I will be happy to give you a quote. I have taught privately throughout my postgraduate training in Glasgow, and am now enjoying working with students in London. My teaching experience spans work with all ages, backgrounds and experience, and I enjoy teaching at every level. I teach a simple and easy-to-grasp singing technique that can be applied and expanded across a number of different vocal disciplines. Opera and classical are my speciality but I can also teach "belt" for musical theatre students and can hone a true "legit" sound. I am also a confident French pronunciation coach (not a language tutor) if that is where your passion lies. I can offer regular lessons to support you in the development of your singing goals, but am equally delighted to take on pupils for short-term or one-off sessions in preparation for performances or auditions. In addition, if you are an individual looking to improve your speaking voice for acting or public speaking, I can offer simple techniques to help you with this and make significant changes to the quality and stamina of your voice and breath. - I offer a no-obligation first lesson (priced as standard), which includes an informal assessment of a student's needs and - where appropriate - a brief follow-up conversation with a parent/guardian to outline my findings and ideas for ongoing support. - I operate a strict 24hr cancellation policy. - I have a strict 24-hour cancellation policy, which applies to both students and myself. DavidFrom Charley (5/5): Really supportive enthusiastic and expert teacher. Reply from: David: Thank you so much Alice! You are a pleasure to teach. It's a very simple process with someone so talented. DavidFrom Nina (5/5): David is an amazing singer with a phenomenal voice! He was ably to connect with my 7 year old straight away and his friendly approach makes my son love singing lessons the most! I would warmly suggest anyone who is thinking to have singing lesson to try them with David as he is truly great!! DavidFrom Henrique (5/5): Started my lessons with David a month ago and I can already say I have a new voice, a voice that I never heard before. I’ve been through many singing teachers but no one who was able to find the ways of teaching me the right/safe way of singing, and that’s what most impresssed about David, on our first lesson I could already hear a much more clear and interesting voice than I ever heard comming out of my mouth. The lessons are very relaxed and fun, David always make sure I’m not nervous, feeling insecure or scared of singing something. I’m already looking forward to my next lesson. Reply from: David: Thank you for your kind words Henrique! You are a joy to teach and i look forward to sharing your journey with you. Reply from: David: Thank you Hana! You are a joy to teach and your kind words mean a lot.